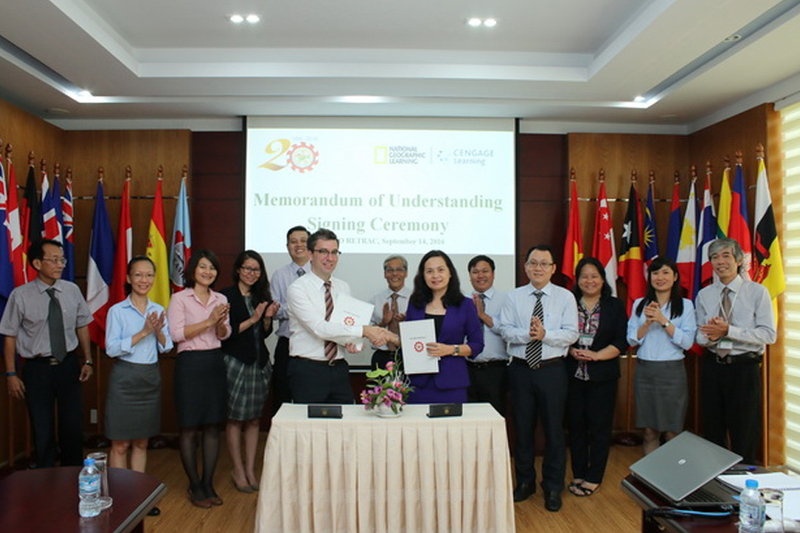 On September 14, 2016, SEAMEO RETRAC signed an MOU with National Geographic Learning- Cengage Learning at the Center. In attendance were leaders and senior staff of the two institutions. The MOU will pave the way for collaborative activities in improving classroom English proficiency and English teaching methodology among public school teachers in Vietnam, exchanging scholarly ideas, information, materials, research activities and so on.